This is the 2nd stage of the Saturn IB rocket SA-211 on display at the US Space & Rocket Center at the Marshall Space Center near Huntsville, Alabama. Vehicle SA-211 was built but not used. The 2nd stage was converted into the Skylab space station configuration. 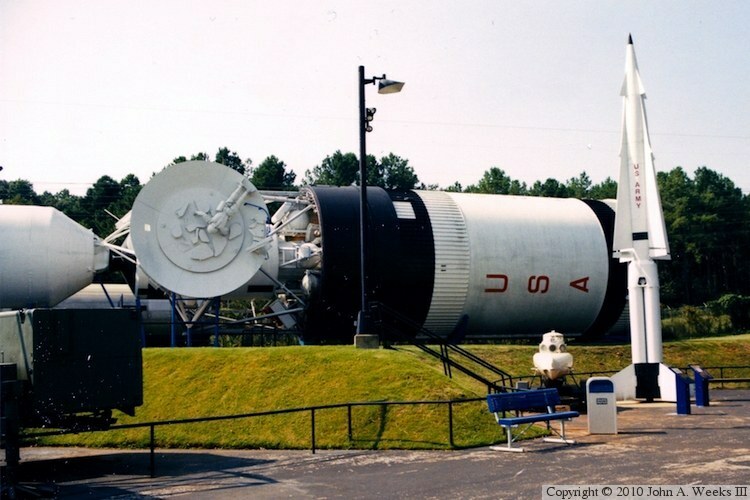 The first stage booster is on display at a rest stop along I-65 near Ardmore, Alabama.